This large, mounding sedum blooms pink in the fall. 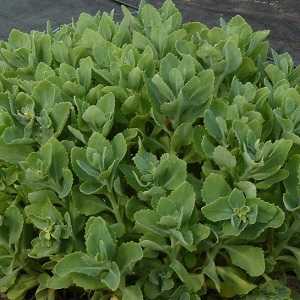 Earlier in the summer, its handsome mound of succulent leaves is a great addition to any xeriscape. Common name: Sedum "Large Pink"